While online video production in Toronto continues to expand into new horizons, it’s important to understand that not all videos are created equally. Depending on your products, services, and message you’ll need to properly plan out your video production strategy prior to getting the cameras rolling. For instance, new research is showing that it best to include faces in your videos. Faces capture attention and build a sense of familiarity. This is because human brains are hardwired to recognize faces. But the importance of having a person speaking in your video goes much deeper than simple familiarity. A study by Princeton psychologists found that in just a tenth of a second, we form impressions of strangers from their faces alone. Our amygdala automatically responds based on how trustworthy we determine a face to be. Once this quick judgement has been made, our amygdala then begins to alter brain processes and coordinate appropriate responses, depending on whether we decide to approach or avoid that person. So how can we make the spokesperson in our videos seem trustworthy? A combination of factors appealing to both the visual and auditory senses can have a significant impact on the whether viewers will trust your spokesperson or not.
. Be truthful with what you say. Make sure you’re delivering information clearly, so it doesn’t seem like you’re trying to hide details.
. Be yourself. The audience can sense if you’re uncomfortable, and they’ll mirror that feeling.
. Caring for people. If you’re wishing someone well or caring for your audience, they’ll notice it.
. Keep your background free of distractions. You want the focus to be on the speaker and not, for instance, on the dog running around in the frame.
. Put important points in onscreen text. If your video is on the longer side, it’s easy for people to zone out and forget the main points. 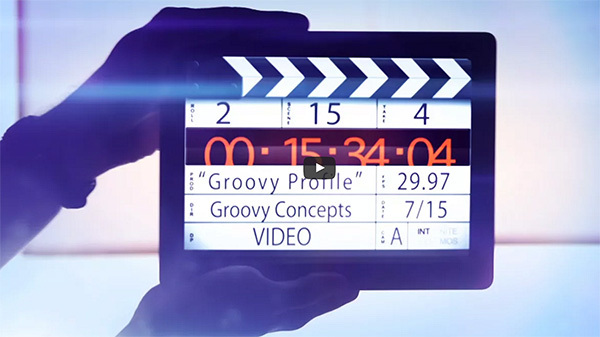 Emphasizing larger points in text onscreen will also give your video more structure.
. Mind your body language. Your body language speaks just as loudly as your words. Make sure to stand tall and gesture with confidence.
. Use verbal cues. Say things like “once that’s done” or “next” to direct the flow of the video, so it feels like things are moving. These are just some of the points to consider if you are producing a video and planning on incorporating an onscreen spokesperson. As we all know, a video production can be a very powerful sales and marketing tool… but as we have stated in our blogs for years, videos need to be produced properly in order for viewers to believe your message. And in that regard, it is always best practice to hire a professional Toronto video production company for all your video marketing needs. How Important is Luck and Timing to a Business or Career? Why are your Video Production Thumbnails Important?